Yelp reviews have immense influence on the internet with over 121 million consumer reviews and 162 million visitors each month. As a local business owner, you may be well aware of this already. Yelp reviews can help you attract more customers. On the other hand, negative reviews may send prospective customers to your nearest competitor. There is a common misconception that one must pay Yelp to have a strong Yelp presence. 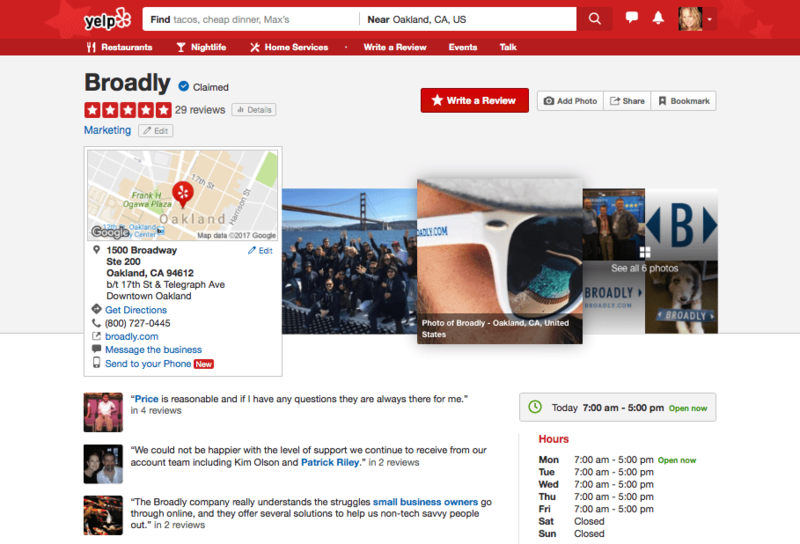 The good news is that you can improve your business’s Yelp presence for free! Make sure that you can access your business’s Yelp profile. Before you can make any improvements, it’s important to take ownership of – or “claim” – your page. 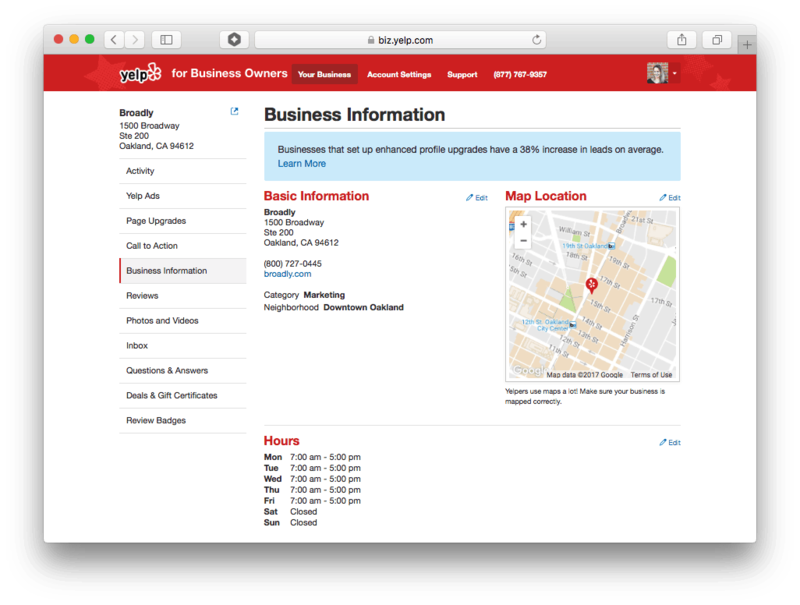 If you haven’t done so already, start on the Yelp for Business Owners portal, locate your business page, and follow the prompts. Let your prospective customers know when you’re open or on call, and the best ways that they can get in touch with you. 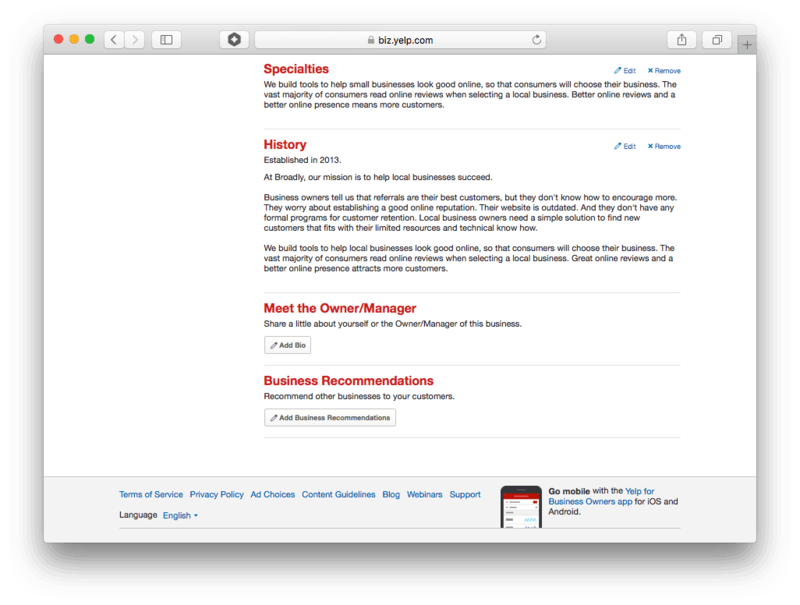 Once you’ve claimed your business’s Yelp page, navigate to the “Business Information” tab on the left side to verify and update your information. Make sure that your business address (or service area), phone number, and website are correct and included. Then, scroll down and update your business hours. Business hours are important to people searching on Yelp. Best practice is to make sure the people searching for your business have all the information they need. Provide prospective customers with more details about who you are and how you can help them. In the “Business Information” section, scroll down to find the “Specialties,” “History,” and “Meet the Owner/Manager” sections. 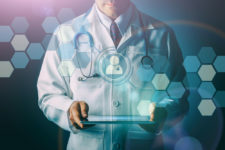 Here you can add more information about your team, philosophy, specialties, how you can solve problems for your customers, and more. This information adds a personal touch. Yelpers love photos! Bring your business and Yelp listing to life with some good-looking pictures. 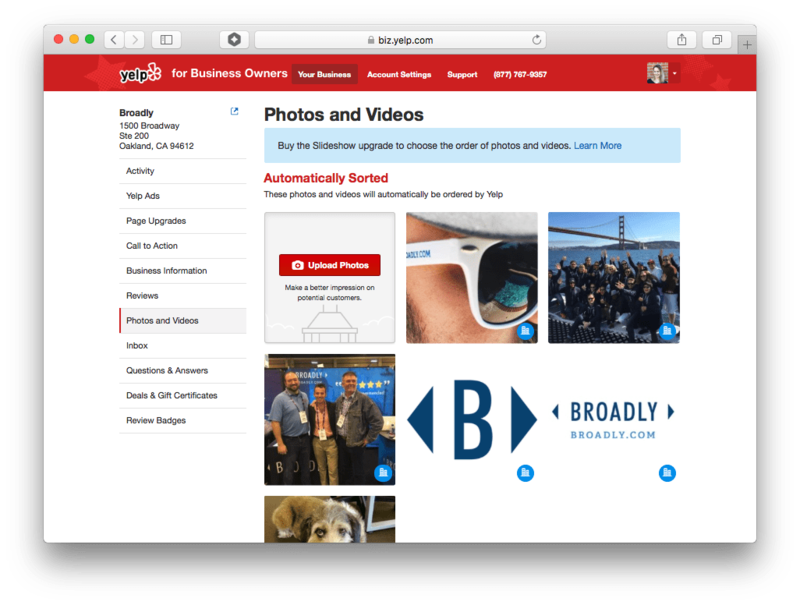 Navigate to the “Photos and Videos” section of your Yelp dashboard to reach the upload page, and follow the prompts. You can show examples of your products and services or pictures of your team hard at work. Many businesses showcase wonderful customers and the interior and exterior of their shop. Remember, reviews are the reason that people are going to Yelp in the first place! 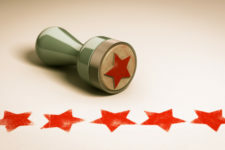 Visitors come to check out your business’s star rating and to read your customer reviews. You can’t pay Yelp for authentic customer reviews, so you need to create a system to ensure that great feedback lands on your page. Broadly can help your business with this! If you’d like to learn how, get in touch. When your customers write a yelp review, let them know that you appreciate their feedback by writing a response. 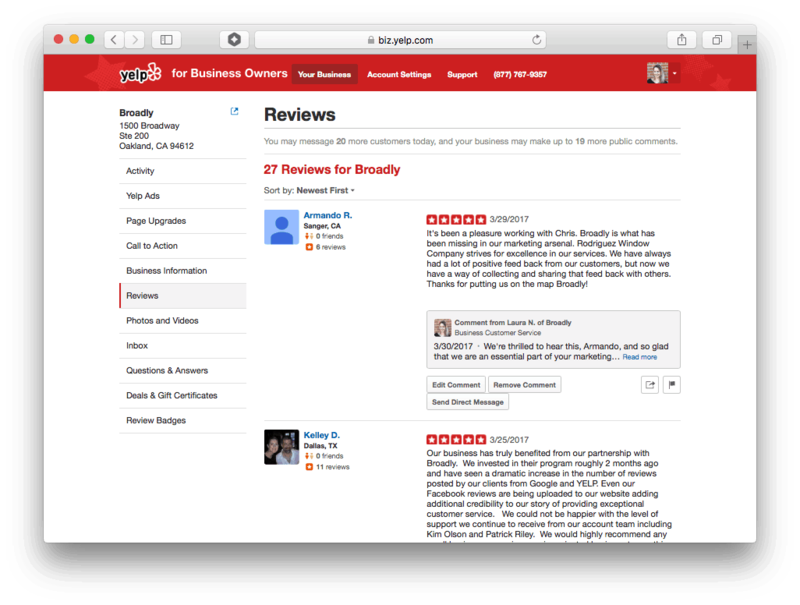 Check out the “Reviews” tab on your Yelp dashboard, and respond to your customers. Sometimes, even a simple “Thank you” will do the trick. If you’re responding to a negative review, a more nuanced reply may be needed. These are just some of the free things that you can do to ensure that your business stands out and shines on Yelp. If you’d like to learn more about how Broadly can help, schedule a free consultation with us.